When it comes to the NEC book it is an understatement when we say the Index at the back of the book can send people into vicious circles during an exam. Electricians that aren't too familiar with the books will waste precious limited minutes looking up a keyword. When you apply for your license exam it is very important to note that even though the exam is open book, it is extremely important to get to know your book before you sit for the exam. Getting to know your books is much more than glancing at the table of contents once or twice or buying a pre-highlighted & tabbed book. As soon as you buy your book, you should immediately get to know the style and layout of the book. Below is an excerpt from Mike Holt Enterprises of the Index. If you are preparing for your Master electrical exam or your Journeyman electrical exam you should consider joining a live seminar or at the very least study with a simulated exam book with practice questions. The more practice you have with your book, the better prepared you will be. is organized into ten major components. The Table of Contents displays the layout of the chapters, articles, and parts as well as the page numbers. The NEC begins with Article 90, the introduction to the Code. It contains the purpose of the NEC, what’s covered and what isn’t covered along with how the Code is arranged. There are nine chapters, each of which is divided into articles. The NEC contains approximately 140 articles, each of which covers a specific subject. Larger articles are subdivided into parts. Tables. Many NEC requirements are contained within tables, which are lists of Code rules placed in a systematic arrangement. Exceptions are Code requirements or permissions that provide an alternative method to a specific rule. Permissive Exceptions. A permissive exception uses words such as “shall be permitted,” which means it’s acceptable (but not mandatory) to do it in this way. An Informational Note contains explanatory material intended to clarify a rule or give assistance, but it isn’t a Code requirement. Annexes aren’t a part of the NEC requirements, and are included in the Code for informational purposes only. The Index at the back of the Code book is helpful in locating a specific rule. the location of a rule that was deleted from a previous edition. New articles contain a vertical line in the margin of the page. 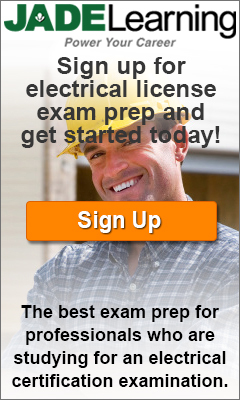 Posted in Exam prep, Resources and tagged code book index for electricians, code book index with page numbers, easy index for 2014 nec book, electrician exam easy index, journeyman electrical exam, master exam electrical exam.